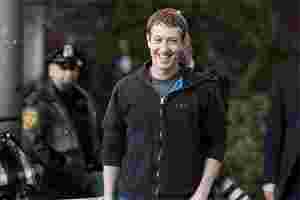 Facebook Inc., the biggest social networking company, is working to fix a security flaw that let people view other users’ private photos, including those of chief executive officer Mark Zuckerberg. “The privacy of our user’s data is a top priority for us, and we invest significant resources in protecting our site and the people who use it," the Palo Alto, California-based company said in a statement. Facebook, which has more than 800 million users, is taking steps to improve privacy after agreeing last month to settle complaints by the Federal Trade Commission that it failed to protect user data or disclose how it could be used. In a blog posting at the time, Zuckerberg said the company should have been more vigilant in protecting users’ privacy and that Facebook had made a bunch of mistakes.